Not so long ago, Miami's allure was about the sunny beaches and balmy winters, a breezy and carefree mood that started giving way to a burgeoning trendy and stylish scene, a scene that is still evolving but has without a doubt established the city as a premier destination for contemporary art, design, fashion and architecture lovers. It first started with the revitalization of the Art Deco District in South Beach, an area that had slowly fallen into decay for years. It has now become the largest collection of Art Deco architecture in the world and the epicenter of Miami's glamorous and trendy set. More recently, we have seen the emergence of an old area not far from downtown Miami, formerly old warehouses and some not so attractive parts of town, into stylish and contemporary districts of galleries, museums and loftiest designer shopping, the up and coming Wynwood Art District and the Miami Design District. 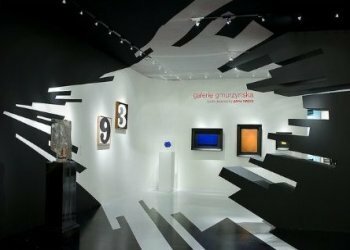 And some of the most prestigious events in the art world have a home in Miami, the preeminent Art Basel Miami Beach fair is held the first week in December every year, and marks the kick-off to a season of high caliber art, design and cultural events. In the cultural front, we have also seen an explosion of multi-million venues dedicated to the performing arts: the Arsht Center, Frank Gehry's New World Center and the South Miami-Dade Cultural Arts Center have opened in recent years. If you have the chance, try to catch one of the events happening throughout the year, this is the best way to really appreciate these venues in all their glory. These are exciting times for the city, a never-ending work-in-progress. 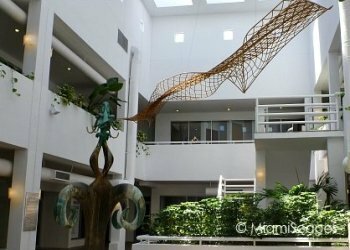 Here are some highlights of Miami's art, design and architectural scene, which have become some of the city's top tourist attractions on their own right, so let's get exploring! A must for art deco and architecture lovers. Over eight hundred buildings from the 1920's 30's and 40's in their signature pastel colors, tropical relief decors, nautical motifs, glass block windows and neon signs... they are a tribute to Miami's 20th century design and creative trend, lining one of the world's most spectacular shoreline and beyond. 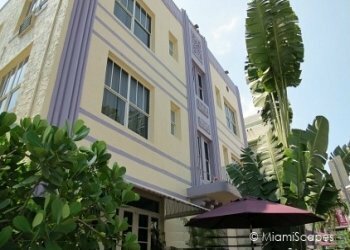 Featured Art Deco and Fusion Cuisine Tour: A leisurely walk along South Beach Art Deco District with several stops to refuel with awesome food. 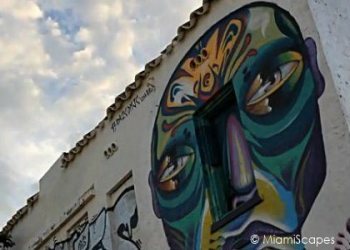 Featured Miami Art Tour: Behind-the-scenes look at Miami's thriving art districts: Design District, Midtown and Wynwood. Like the Miami Design District, Wynwood is an emerging neighborhood in a decaying part of town that has been revitalized and is transforming the art scene in Miami, but this is where the likeness stops. Wynwood is best known for its street art and splashy murals... an "outdoor museum", and over 60 70 galleries and counting that are at the cutting edge of contemporary art and just plain creativity. Where the Design District has art and ultra-luxury shopping, Wynwood has art, food trucks, and definitely no frills but tremendous spirit. Art Basel Miami is the largest and most prominent contemporary art show in the country if not the continent, and the epicenter of a series of events and fairs all revolving on what has now become the Miami Art Week. On this first week of December, the art world converges in Miami... a definite must for contemporary art lovers.